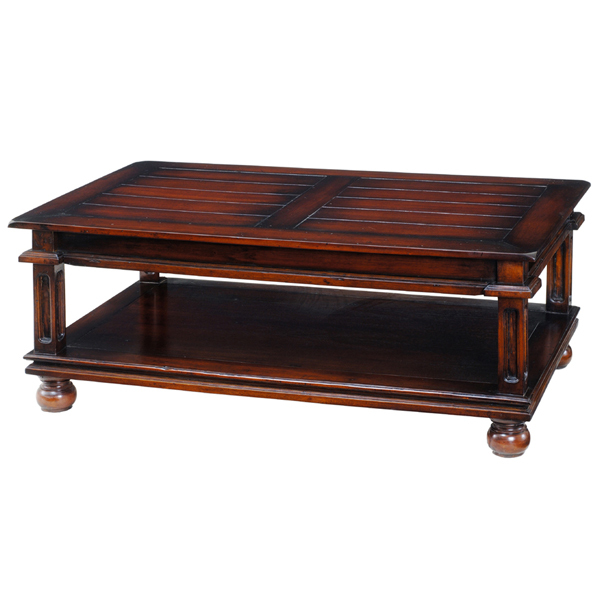 Traditional coffee table with ball feet and one shelf. Shown in Aged Classic wood stain finish. Handcrafted from solid premium mahogany.